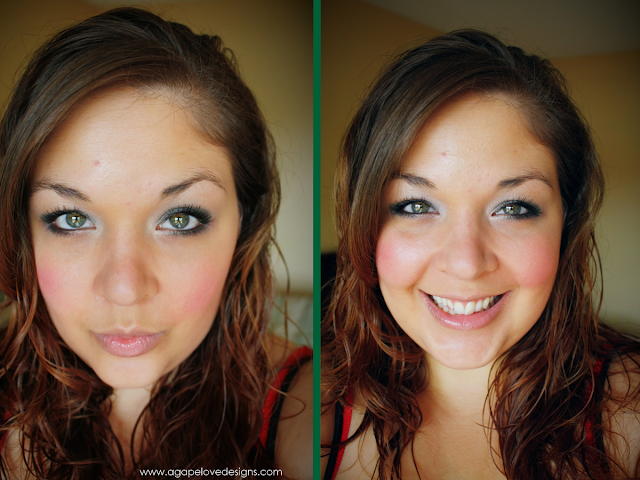 I LOVE makeup. 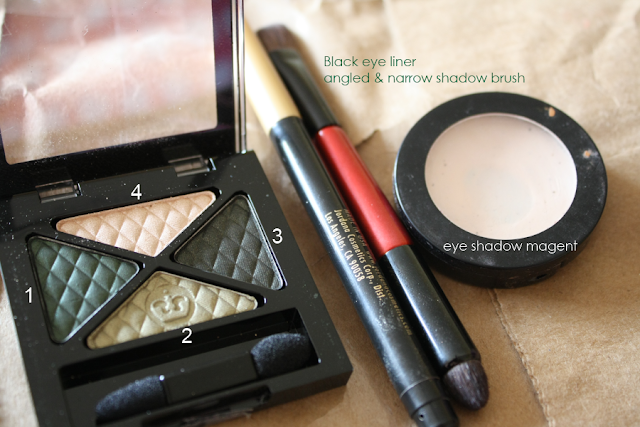 I probably have way TOO much makeup already (especially eye shadows). 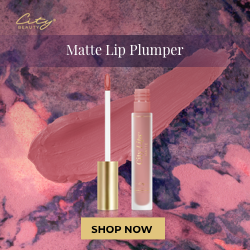 Yet when I am at the store, I am always drawn to the makeup aisle, like a moth to a flame. 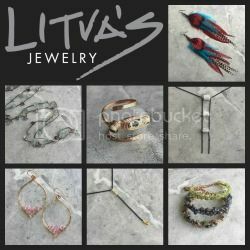 All the pretty colors, all the different palettes, designs, shapes, and sparkles! It seems I cant get enough. 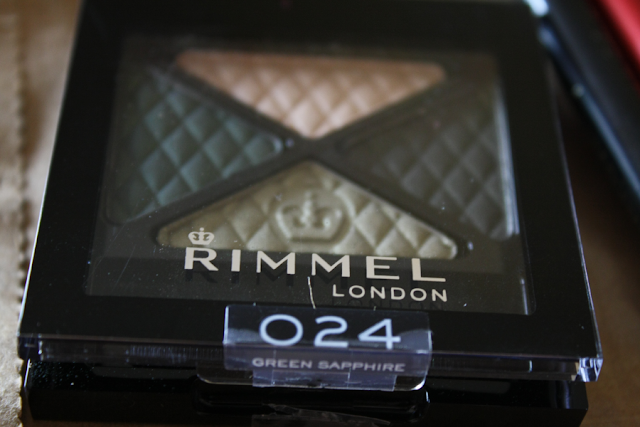 eyeshadow set from Rimmel London, called Green Sapphire. 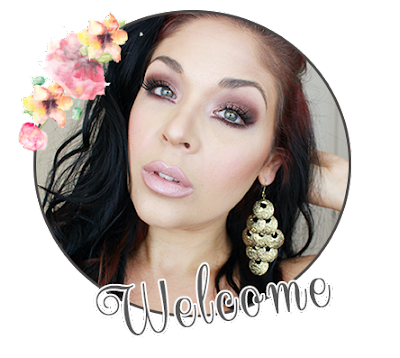 I admire the look of the dark, dreamy black smokey eye. But I dont think I can pull off BLACK as well with my Green Hazel eyes. because I believe those colors look the best on my eye. I also love the dimensional look of several different hues of the same color blended on the eye. I believe it really makes the eyes POP when done right. It makes for a gorgeous and dramatic smokey eye, that works with my eye color. And an angled/narrow shadow brush. Ive labeled the shadow colors so you know the order in which I used them. 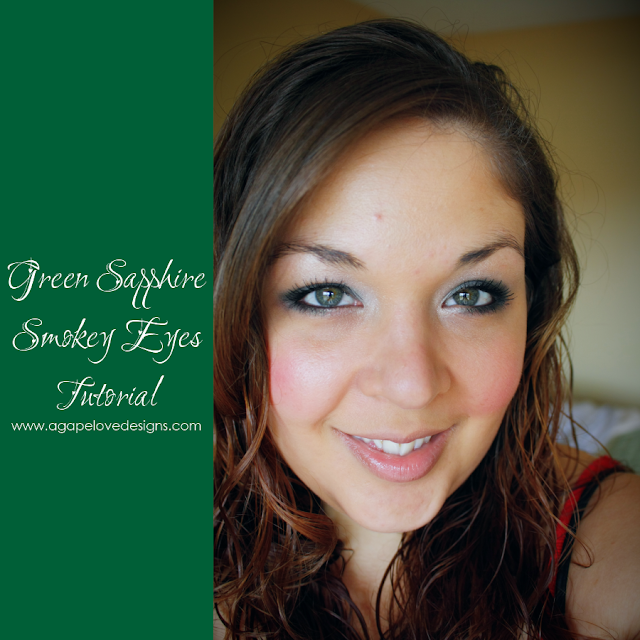 And here is a quick photo tutorial guide to how I created the Green Sapphire Smokey Eye Look! Ohhh, so pretty. 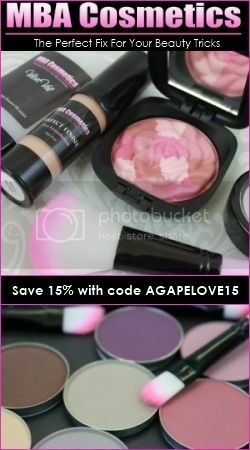 I usually avoid color eye shadow but this changed my mind :).